Looking for a fun —and funny — way to celebrate Canada 150? 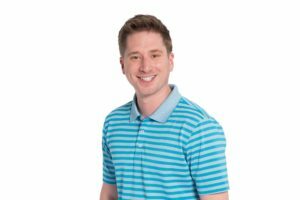 Spend July 1 with Department of Theatre alumnus Chris Wilson on CBC TV’s Air Farce Canada 150 special. 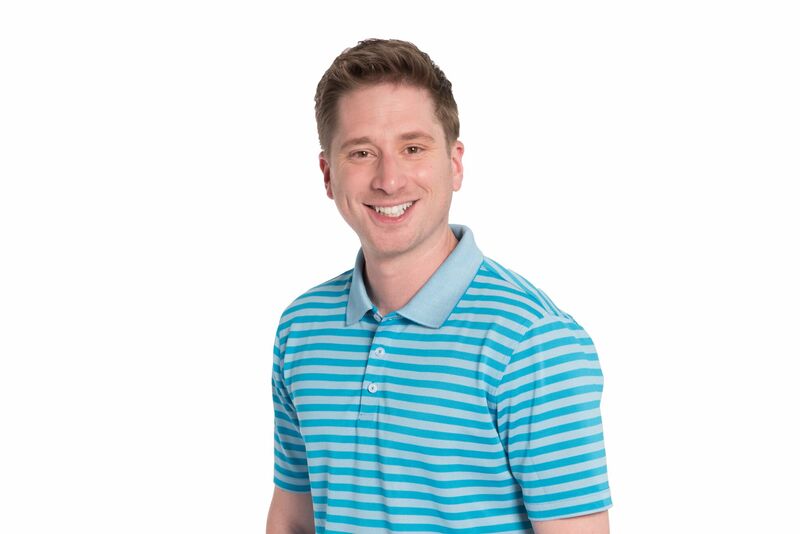 Wilson, best known as one-half of the multiple award-winning comedy duo Peter N’ Chris, is one of two new cast members of the veteran Canadian comedy ensemble Air Farce. Air Farce has a long and enviable track record in the Canadian comedy scene, dating back to 1970 and boasting both a 24-year CBC Radio series and a 15-year CBC TV series. Lately, however, the Air Farce has been focusing on seasonal specials, like their annual New Year’s show and this week’s Canada 150 special. You can watch it on CBC TV at 5pm Saturday, July 1, and again at 8pm Monday, July 3. 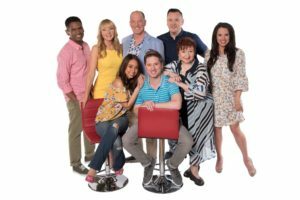 Wilson and fellow new cast member Isabel Kanaan join the six others in the troupe, including founding members Luba Goy and Don Ferguson. And considering over two million Canadians watched the Air Farce’s 2016 New Year’s special, it’s great exposure for Wilson. Not that he’s been quiet since graduating in 2008. Wilson and his three-time Canadian Comedy Award-winning sketch comedy partner and fellow Phoenix alum Peter Carlone have built a large following in Canada and the US. In addition to shows like Peter N’ Chris Save the World, Peter N’ Chris and the Mystery of the Hungry Heart Motel, Peter N’ Chris and the Kinda OK Corral, and Peter N’ Chris Explore Their Bodies, the team have wowed audiences at Just For Laughs, JFL42, The Toronto Sketch Comedy Festival (2013, 2014) and at sketch festivals in Chicago and San Francisco. 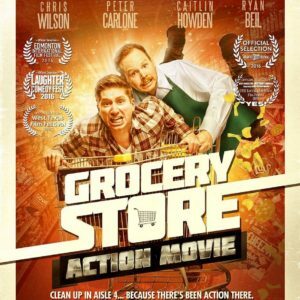 They’ve also appeared in the Phoenix’s own Spotlight on Alumni in 2012, are writers for CBC Radio’s The Irrelevant Show, are regulars on the Canadian Fringe Festival circuit, have appeared on the popular comedy site CollegeHumor.com, as well as the web series White Ninja, and the Leo Award-nominated short film, Grocery Store Action Movie. 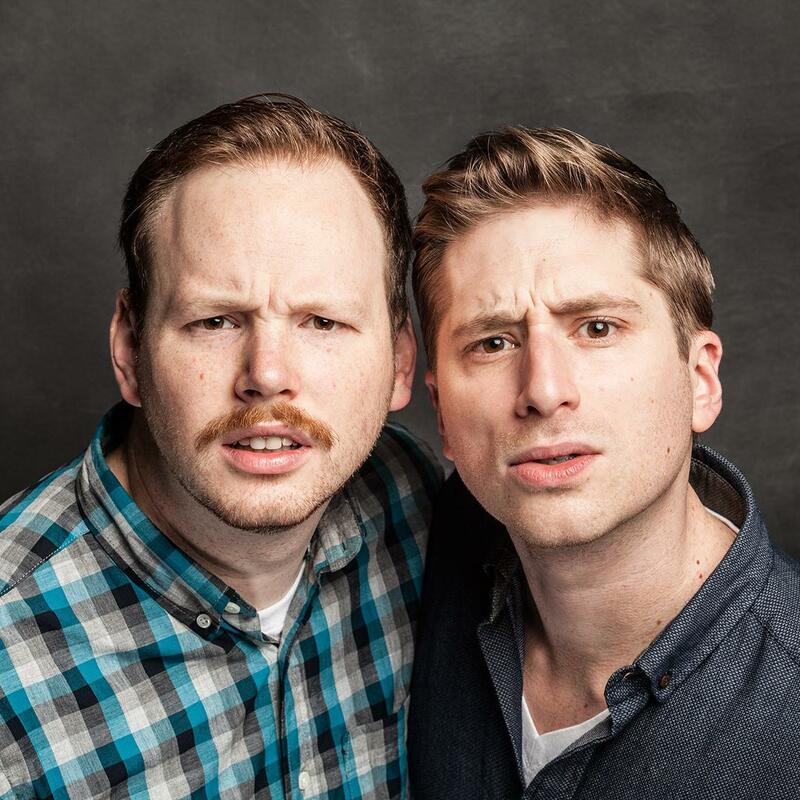 Lately, they’ve been touring small-town BC (“we’ll get 350 or 400 people coming out who don’t know us, they’re just rowdy, ready to laugh and don’t care if we’re not famous”), and they’re currently appearing in A Peter N’ Chris-tmas Carol at the 2017 Toronto Fringe Festival. Now in a short film—it’s Peter N’ Chris! When asked about the influence his Theatre education had on his life — beyond meeting classmate Carlone and working on their first seven-minute show together as a class assignment — Wilson points to the department’s comprehensive approach. Except, of course, when you have to sing and dance on TV. 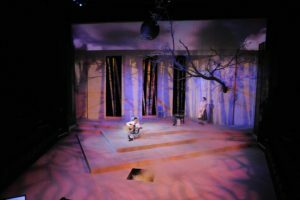 When it comes to outstanding alumni, it’s hard to beat award-winning theatrical designer Patrick Du Wors. 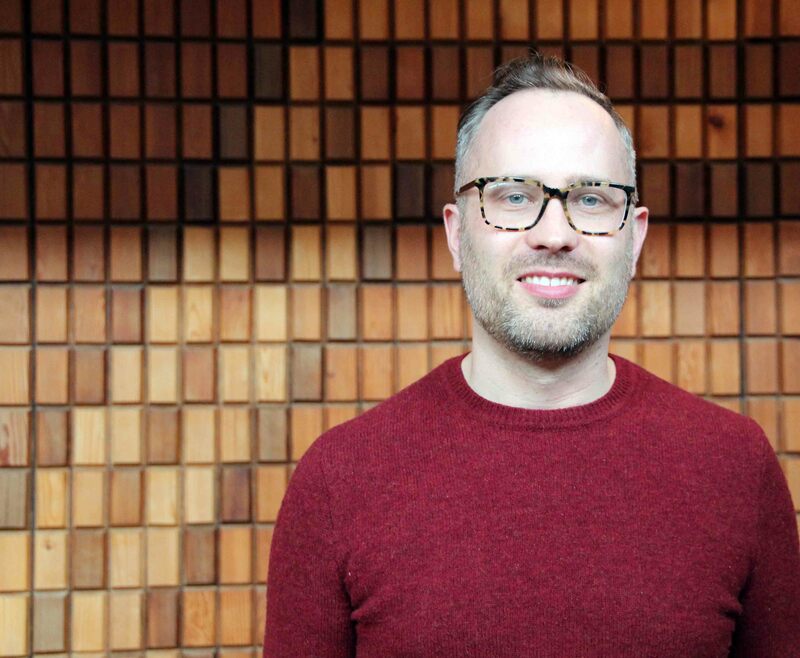 Not only has he made a name for himself on both national and international stages, he was recently hired as the new assistant professor of design for the Department of Theatre. But this month, Du Wors is in the spotlight as the only Canadian stage designer selected to participate in the prestigious 2017 World Stage Design exhibition and Scenofest conference in Taiwan. Running July 1-9, the juried showcase features 350 outstanding examples of international theatrical design in two categories: professional (200 displays) and emerging (150). 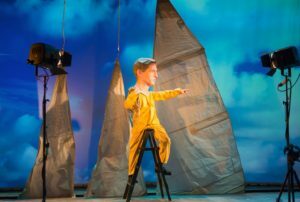 Du Wors is firmly in the professional category, with his design for the Ghost River Theatre production of The Last Voyage of Donald Crowhurst selected from nearly 500 submissions worldwide. His work will be seen by between 13,000 and 15,000 visitors during the exhibit’s 10-day run on four floors of the Taipei National University of the Arts museum space—with nearly half those visitors coming from abroad. Described as “a multimedia meditation on ambition and the artistry of deception,” the world premiere of Last Voyage was produced by Alberta’s Ghost River Theatre during their 2014/15 season. It won six awards at Alberta’s Betty Mitchell Awards, and also received multiple nominations in the 2016 Alberta Literary Awards and the Calgary Critics’ Awards. Du Wors — who is both attending World Stage Design and was on the jury for the “emerging” category — is proud to have his work seen beyond the original production. “This is a traditional exhibit in that we’re showing artifacts from the process: models, costume drawings and production photos,” he says. After another year freelancing in the UK and working on productions for the likes of Frankfurt Opera, Royal Scottish Ballet and Netherlands Opera, he returned to Toronto to design for various national theatre companies — including locals the Belfry and Blue Bridge Repertory Theatre — as well as being a guest designer at a number of universities (National Theatre School, Sheridan, York, Ryerson, George Brown) before earning his MFA from University of Alberta. 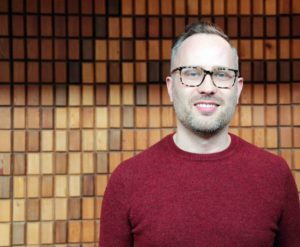 He was on faculty at the University of Calgary’s School of Creative and Performing Arts before being hired at UVic. 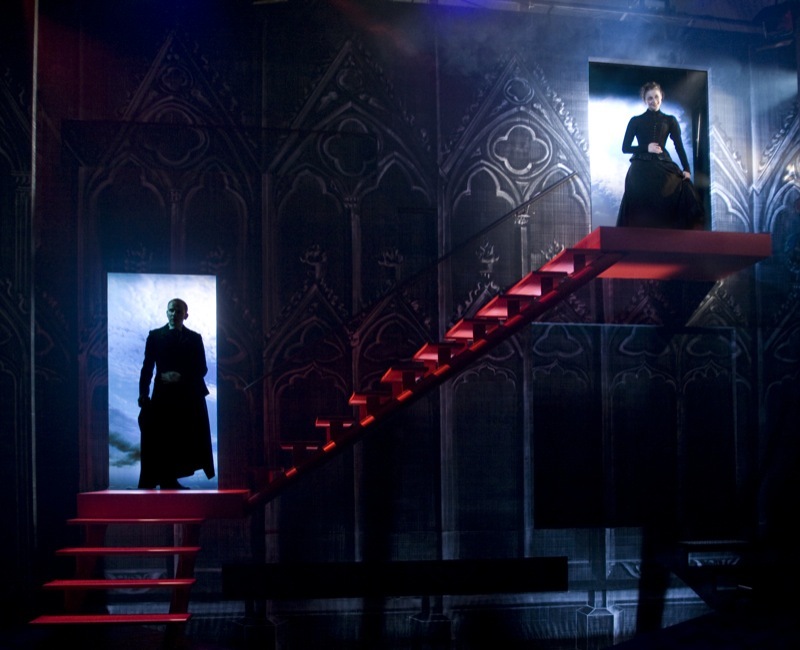 But it’s his on-stage work designing sets, lighting and costumes for which Du Wors is mostly know, including such memorable local productions as the Phoenix’s Dark of the Moon (2008) and The Monument (2002), the Belfry’s Turn of the Screw (2008) and A Number (2006) and many Blue Bridge shows, including Death of a Salesman (2009), A Streetcar Named Desire (2010), Fire (2011), Little Shop of Horrors (2012) and My Fair Lady (2013). As for the future of The Last Voyage of Donald Crowhurst — which tells the story of the titular British sailor who was poised to win a solo, non-stop round-the-world sailing competition before disappearing — Du Wors remains optimistic that it will reach a wider audience. How can theatre activate the experiences of migrant youth, while at the same time providing a window into the experiences they face while assimilating into a new culture, new society and new city? Questions like this are at the heart of a new Applied Theatre performance directed and devised by Theatre PhD candidate Taiwo Okunola Afolabi. Commissioned for World Refugee Day 2017 and created in partnership with the Victoria Immigrant & Refugee Centre Society (VIRCS) and the Applied Theatre program in UVic’s acclaimed Theatre department, the live interactive play Journeys of Arriving, Belonging and Becoming was first performed to a packed house of 65 people at Victoria’s City Hall on June 20 — including Victoria Mayor Lisa Helps, City Councillor Jeremy Loveday, Victoria Immigrant and Refugee Centre Society (VIRCS) director David Lau, and Michael Shamata, Artistic Director of the Belfry Theatre. 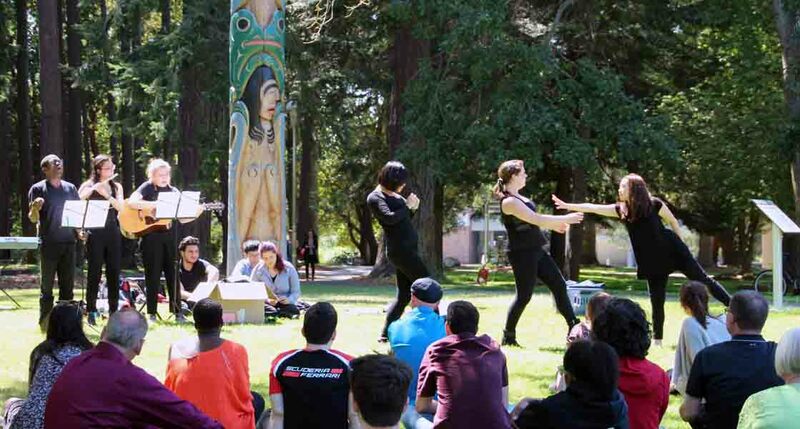 It was also remounted as a free outdoor theatre performance on June 29 in the #UVic quad. 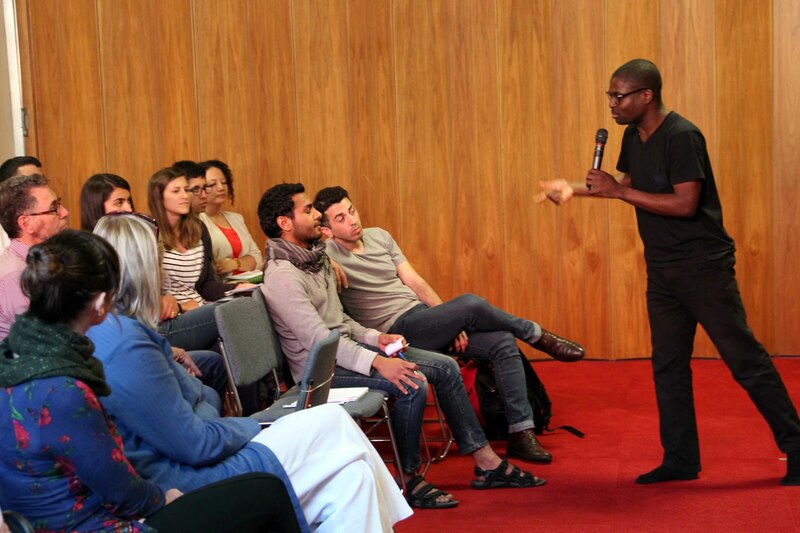 “The performance explores complexities that surround refugees and migrant movements, which can be overwhelming — especially when we don’t have a clear way to actively engage with the issues and individual experiences,” explains Afolabi. Afolabi is a graduate fellow with UVic’s Centre for Global Studies and a Queen Elizabeth Scholar with UVic’s Centre for Asia-Pacific Initiatives. He arrived in Canada two years ago, and his research focuses on artistic practices among internally displaced persons. The powerful 50-minute show features a mix of drama, dance, music and spoken word, all aimed at exploring the very real process of relocation, resilience, settlement and integration. It showcases common experiences like choosing an English name, learning a new language, and the difficulties that come with navigating everyday situations like ordering coffee, finding a job or dealing with the donation of unwanted goods from well-intentioned but thoughtless people. But more than just presenting these difficulties, Journeys of Arriving also provides a creative platform for a cast with a truly global background: Syria, Israel, Russia, Hong Kong, China, Thailand, Nigeria and Canada. 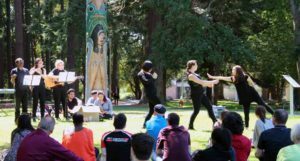 Most of the eight-person cast are Department of Theatre students — including Annie Konstantinova, Jasmine Li, Megan Chandler, Olivia Wheeler, Thiptawan Uchai and Victoria Stark — with the addition of UVic student Tianxu Zhao, and community member Samer Alkhateb. VIRCS youth program coordinator Jasmindra Jawanda says the seed of the idea began about a year ago when she first met Afolabi. Applied Theatre is the use of theatre and drama skills for the purposes of teaching, bringing about social change and building a sense of community. 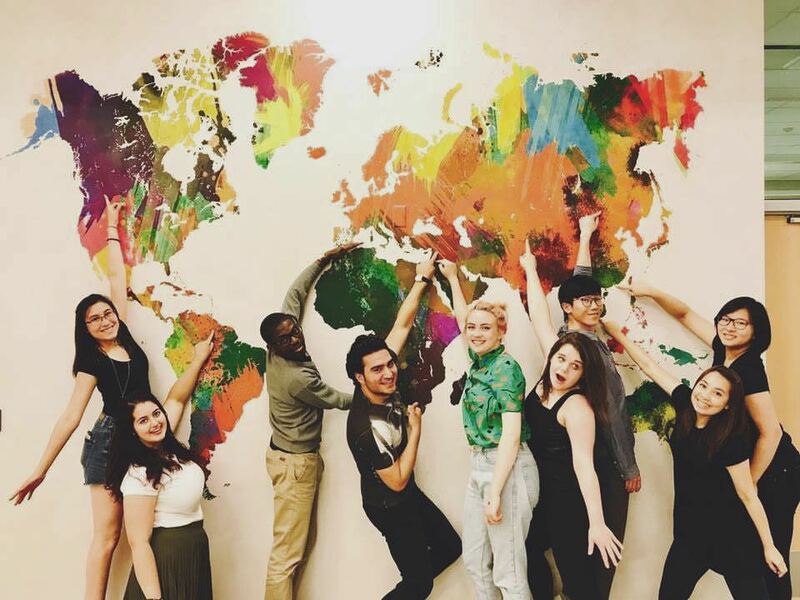 UVic’s program is recognized around the world for its innovative applied theatre projects, including a field school in India and exchange programs in Thailand. Third year Visual Arts student Cassidy Luteijn is making the news as one of the finalists for a Canada 150 condom wrapper design contest. 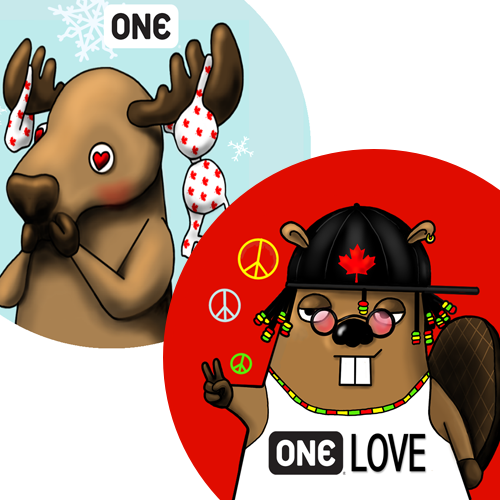 Her uniquely “Canadian” imagery includes a hippy beaver and a moose draped in underwear. As she explains in this interview in the Martlet, it was Luteijn’s experience as a UVic student residence leader that taught her the importance of safe sexual health. 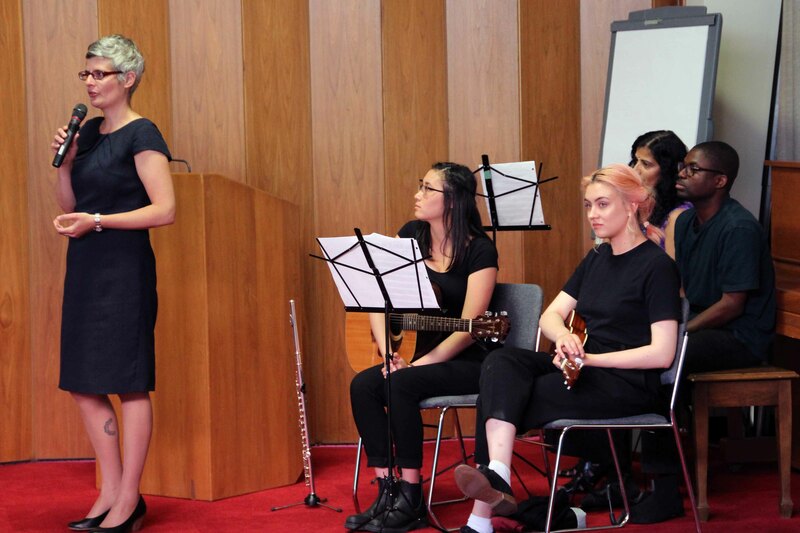 “I think the students — especially in residence, I find — are just coming out of being under their parent’s roof, and with that comes a lot of exploration,” she told the Martlet‘s Cormac O’Brien. Cassidy’s two designs were selected out of hundreds of, ahem, entries by a panel of judges at contest sponsor ONE Condoms to make it into the top 50. The public can vote for the final 10 winners on the contest page through July 12. Winners will be chosen on how well the designs celebrate Canadian life, culture and history. The ultimate winner will earn $1,000, a year’s supply of 365 condoms (featuring their design, of course) and 10,000 condoms donated to the Canadian health organization of their choice. 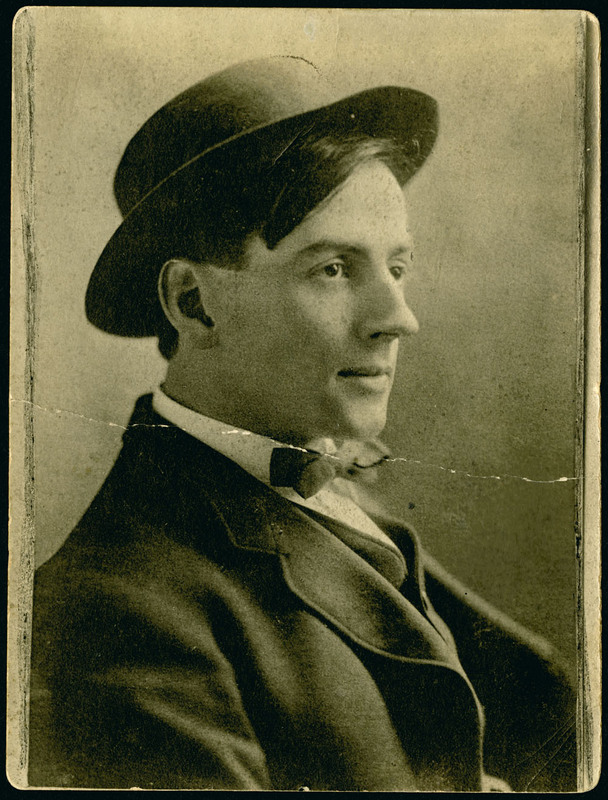 On July 8, 1917, iconic Canadian painter Tom Thomson drowned in Algonquin Park’s Canoe Lake. 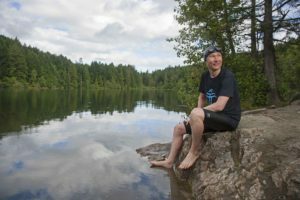 Now, on the 100th anniversary of Thomson’s death, intermedia artist and Visual Arts chair Paul Walde will swim the length of Canoe Lake — accompanied by a synchronized swim squad, canoe flotilla, brass band, film crew . . . and a minute of silence recorded at the bottom of the lake. Not only will The Tom Thomson Centennial Swim allow Walde the opportunity of commemorating the centenary of Thomson’s death with this site- and temporally-specific piece, but he will also be reframing the enduring images and legacy of the early 20th-century artist for future gallery installations. Media interest in this story has been high, with Walde being interviewed for 10 different media outlets in BC and Ontario, ranging from CBC Radio’s Up North in Sudbury to The Early Edition in Vancouver (skip to the 1:20 mark) and talking about “Canada’s Van Gogh” on radio shows in Victoria, Kamloops, Kelowna and Prince George, as well as this June 22 Times Colonist article and this Saanich News article. But the most interesting piece was this story that ran on page A3 of the July 9 issue of the Toronto Star, where arts reporter Murray Whyte actually traveled to Canoe Lake to witness the swim itself. Walde is well-known for his bold and innovative sound and video installations, including Requiem for a Glacier in 2013, filmed live onFarnham Glacier in BC’s Purcell Mountains and earning international headlines, and Alaska Variations for an Anchorage Museum exhibition in 2016, which was singled out by USA Today as one of the top US museum exhibits of the year and was recently exhibited in Norway. “I’m trying to give people a sense of what [the landscape] sounds like, what it looks like below the surface, to try to create . 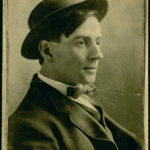 . . a different understanding,” Walde told the Times Colonist. 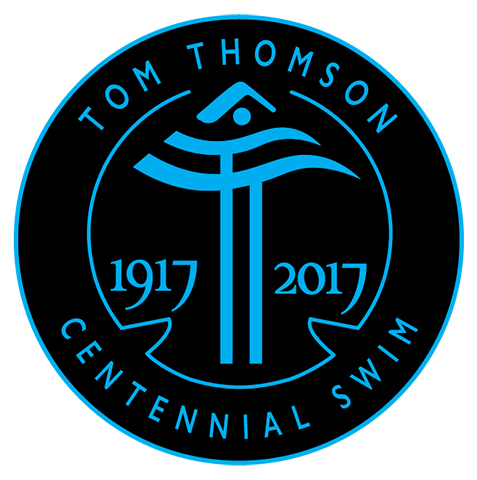 The Tom Thomson Centennial Swim will be documented by a professional film and audio crew. 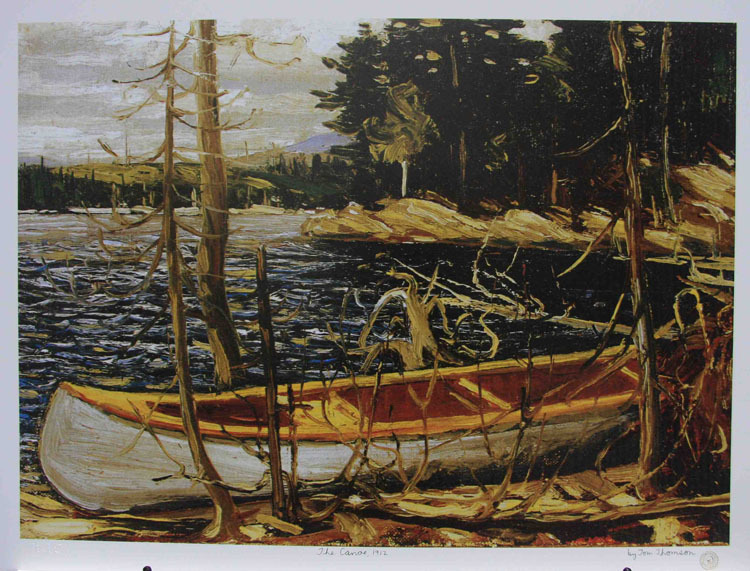 Footage from the event — including underwater body-cam, mobile boat units and stationary positions — will be combined with shots of the lake and locations featured in Thomson’s paintings. 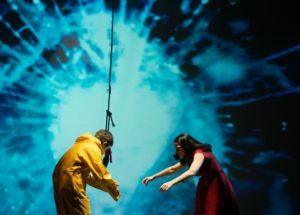 Thomson was also the subject of Walde’s 1997 theatrical performance, Index 1036, a collaborative work created with his wife Christine Walde, a UVic librarian, which fictively examined Thomson’s death in the context of contemporary performance art. 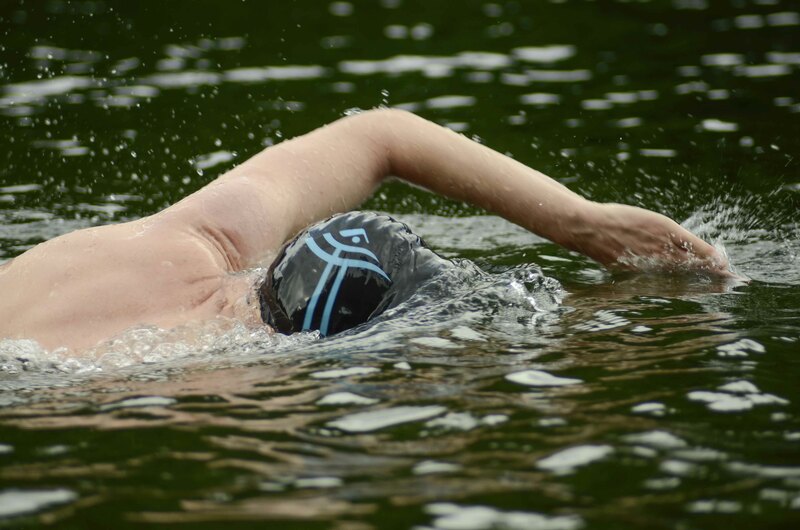 A former competitive swimmer who uses lake swimming to inform his practice as an intermedia artist, composer and curator, Walde has created a body of work exploring interconnections between landscape, identity, and technology with historical events as a recurring theme. 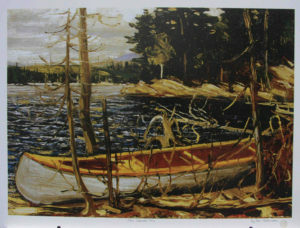 Canoe Lake, where Canadian artist Tom Thomson died in 1917, is located in Ontario’s Algonquin Park, Canada’s oldest provincial park (est. 1893) where Thomson worked as a guide from 1913 until his death. UVic’s Visual Arts department is recognized nationally and internationally for developing innovative artistic voices and is one of Canada’s leading contemporary art programs.